The Funny Lion features a rooftop bar with sunset-view jacuzzis called Pride Rock Deck. Developed by the same young-at-heart team behind Amorita Resort and Momo Beach House in Panglao Island, Bohol, The Funny Lion is one of the newer additions in Coron, Palawan by the One-Of Collection boutique hotel group. 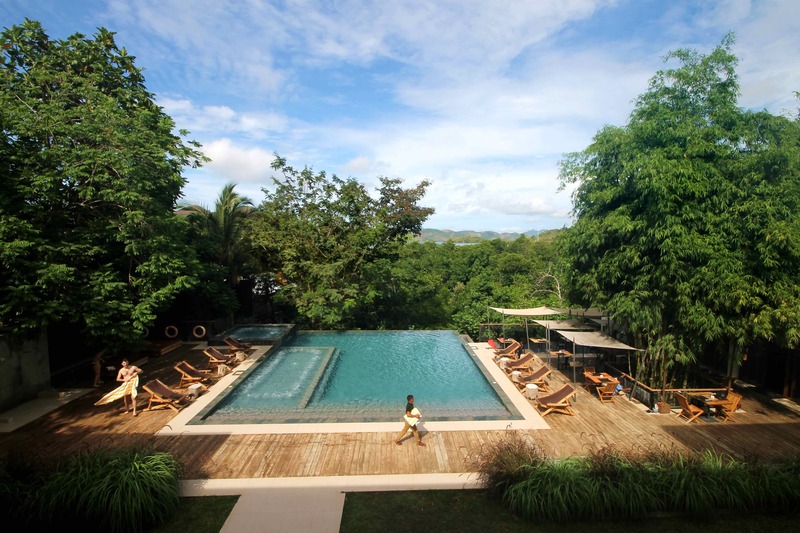 Located in the quiet outskirts of Sitio Jolo, the brand-new establishment stands out as a relaxing retreat for both couples and families wishing for a private nook away from the hustle and bustle of the town center. It’s only a 10-minute drive by van or tricycle from town, or adventurous guests like myself may borrow a bicycle from the hotel. It’s a tough pedal at some hilly sections of the road, but still an enjoyable way to travel between the hotel and the heart of Coron town. I’ve stayed at The Funny Lion twice. I had the privilege of being one of the hotel’s first-ever guests after a five-day sailing expedition from El Nido with Tao Philippines in 2014. And in May 2017, I was able to revisit the resort after a speaking engagement. After checking in, I immediately plopped into the cotton-soft bed, relishing the luxury after roughing it out at open sea and desolate island camps. The “Cub Room” I stayed in was large, warm and cozy. The toilet and walk-in shower was similarly fashioned. Hot showers were made complete with eco-friendly lemongrass shampoo and soap, which smelled heavenly sweet. The room, however, still lacked the finishing touches of interior design that will give it as much character as the hotel’s name, which alludes to the game reserve of African wildlife in Calauit Island, a popular tourist attraction in Busuanga. There are outdoor decorations that allude to this, however, like the wooden statues of lions and giraffes at the corridors. Moreover, the temporary wifi was still spotty. This may be great news for those who truly want to disconnect, but may be a big inconvenience for those who need to stay online while traveling like myself. Cozy and spacious rooms fit for a king. The resort lends out bicycles for guests to use. Walking though the hotel building, there’s an infinity pool and jacuzzi pool next to the restaurant that stretches out towards a mangrove area that I’m glad was not cleared away for the hotel’s construction as it blocks the view of the sea from the pool. Aside from providing lush greenery, the mangrove serves as natural barrier from wind and sea, especially during the stormy monsoon season. I’m told that there are plans to construct a mangrove boardwalk from the pool area to the edge of the forest, which I think is a great idea! In line with the hotel’s safari theme, the hotel restaurant next to the pool is aptly called Hunt and serves Filipino and Western food for both guests and walk-in diners. I especially enjoyed my daily Filipino breakfast of local longanisa (pork sausages), and their refined version of tinolang manok (chicken soup) and baked prawns for dinner. Pride Rock Deck serves bar chow and cocktails, best enjoyed in their outdoor jacuzzis! A lush mangrove forest fronts their infinity pool and restaurant. During my second visit in May 2017, I was finally able to check out Pride Rock Deck, a rooftop bar which was still under construction during my first visit. 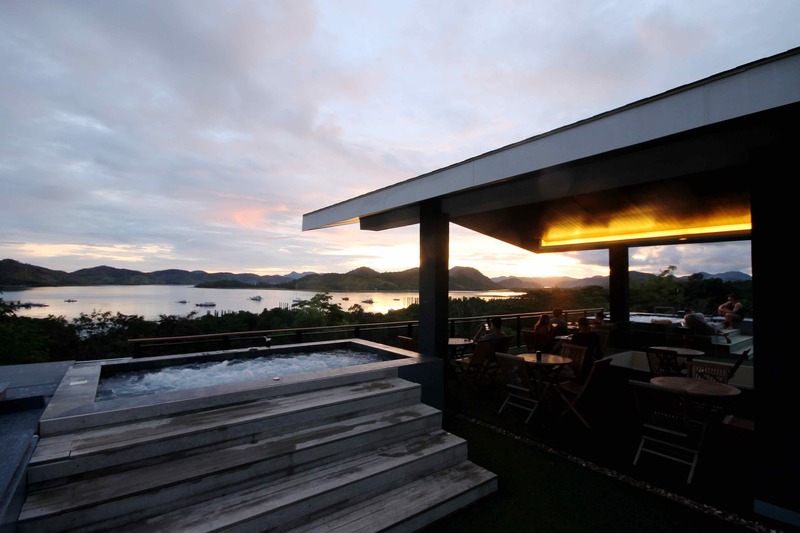 The bar sits above the mid-rise hotel with views overlooking the Coron Passage and the green hills of Lajala Island. There’s a nice view of the calm channel with moored yachts and buzzing outrigger boats. There’s even a pair of jacuzzis where you can relax and savor that cocktail while watching the sun go down! They serve signature safari-themed cocktails, which you can get at only PHP 300 for two drinks during happy hour from 4 to 7pm. Like the restaurant, the rooftop bar is open to outside guests as well. Accommodations are inclusive of welcome drinks, complimentary breakfast for two and van transfers from Coron Airport. Rates fluctuate according to the season and availability. Sample rates are PHP 5,695 for the Cub Room, PHP 6,120 for the King Room, and PHP 6,454 for the Pride Room, the biggest room type. All rates are for single or double occupancy. Find discounted rates for this hotel here! Filipino and Western food are served at the restaurant next to the pool. Non-guests are welcome to dine at the restaurant; expect to pay around PHP 400 to 500 per person for a full meal. Boat tours around the top attractions around Coron Island, such as Kayangan Lake, Banol Beach and Siete Pecados Marine Park, as well as tours around Coron town, which includes Mt. Tapyas and Maquinit Hot Springs, are offered by the resort through pioneer tour company Calamianes Expeditions & Eco-Tours. 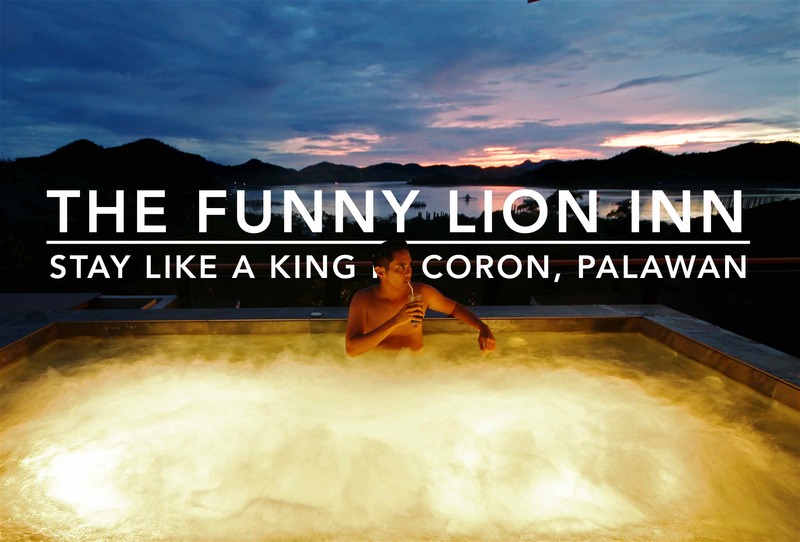 The Funny Lion is 10 minutes away by tricycle (PHP 40) from the town center of Coron. Airport transfers are typically included in the room rates, free of charge. Simply beautiful. The sights are breathtaking. Don’t know why they named it Funny Lion though.